Today’s workplace is a challenging, unpredictable environment. The pace of change has changed dramatically – as have our expectations. Immediacy is the new buzzword and always-on is the new normal. We can’t possibly wait 24 hours to respond to an important email. And if the only person with access to a crucial file isn’t in the office, a crisis ensues. While there have been some brilliant steps taken towards solving our constant need for information, some like Japan’s “surrogate” telepresence robot, the Human Uber, have raised a few eyebrows. Tackling these difficulties, however, isn’t going to require a massive step change in our behaviour at work. The technologies being increasingly adopted right now in both the public and private sector are the ones that slot most easily into our natural working patterns and help us navigate unexpected twists and turns in our daily schedules. The rise of process automation is helping teams perform everyday tasks to a high standard in a fraction of the time it would take manually. Workflow technology puts the user in charge, letting them create and amend their own workflows to automate processes such as bulk document pre-population, fitting to the way they work even as this evolves over time. If you wanted to run a weekly update report for your boss to read first thing on a Friday morning for instance, a case management system with in-built process automation would allow you to schedule this report in advance so it can be emailed to your boss at 8am sharp – without you having to get into the office early. With process automation, the time it takes to perform everyday tasks is drastically reduced. And that means more time brainstorming great ideas with your colleagues and less time on dull data entry. A win-win for everyone. With over 80% of people on flexible working schemes reporting lower stress levels, interest continues to increase amongst employers and staff alike in the opportunities remote working provides. In fact, over two thirds of workers believe they could improve their productivity if they had the option to work from home. The arrangement provides them with the freedom to have a better work-life balance, meaning less anxiety, more efficiency and more time with family and friends. 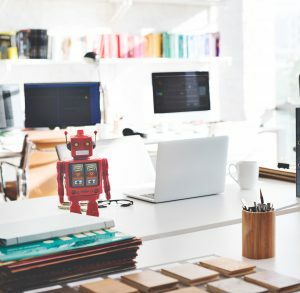 But despite the obvious benefits, remote workers can become isolated if not properly managed – which is where technology will serve a key need as the movement towards remote working grows. Online collaboration technology is a manager’s best friend when it comes to flexible working arrangements. In a good case management system, all the information a team could possibly need – from files and documents to emails – is all integrated and stored in one, central location so it can be securely accessed from any location. This provides the ultimate flexibility for modern teams with different needs, who aren’t necessarily going to be chained to their desks from 9 to 5. Every day, we create 2.5 quintillion bytes of data. That’s a lot of information. But what we’re often still forgetting to do with all this knowledge is to channel it into something useful. There is, of course, not much use in having all of your information integrated and stored together for the whole team to benefit from if you’re only using it to collaborate. Once you have your case management system set up how you want it and are ready to go, ensure you equally take the time to consider how you can use management information reporting to its full potential. Think about what information your boss wants to track, why they might need this type of report, as well as the key data that may assist other colleagues with managing and monitoring their daily workloads. Data analytics have advanced to the extent that managers can now track what their team is working on and who may need more support, as well as using the data to inform their strategic decision-making and identify key areas of risk. There is so much potential in the information we hold – and it is only a matter of time before all organisations take advantage of the value data can provide for their teams. This is only a small percentage of the incredible things technology can do to transform the workplace. If you’d like to understand more about how Iken’s case management software can help you eliminate information gaps in your workplace and better support your team in managing their workload, speak directly to one of our team on 0117 373 0790 or request a callback online.